← WC DART Photos with Santa! WC DART assisted Macon Co. Animal Control Officer, Jamie Weekley, Lafayette Animal Control Officer, Tom Dallas, and Macon Co. Sheriff’s Department and EMA, in evacuating 38 Husky, Beagle and mixes, from a hoarding situation. 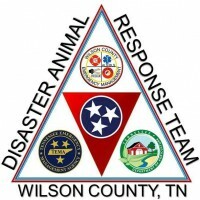 The dogs were Sheltered and cared for by the Macon Co Animal Control and WC DART. WCDART sponsored the rescue operation, through a Mutual Aid Agreement.